De-extinction, while the definition is self-evident, refers to the resurrection of extinct organisms. Many articles on the subject cannot discuss this process without satirically mentioning Jurassic Park. Which leads me to question, is this where the partnership of technology and biology may lead us one day? Did Michael Crichton novels foretell this? Many scientists from across the globe have been trying to perfect the morally ambiguous act of cloning and/or genetic engineering for certain extinct animals. Ironically, many of Earth’s long-lost species, including some on this list, were driven to extinction by humans. Here is a list of ten animals who have either already been cloned or are potentials for reanimation. These Dolphins took residence in the Yangtze River of China up until 2002, and are the first species of dolphin to be driven to extinction due to human impact. They are also the first megafauna (large mammals) in recent years to become extinct. Two articles make different claims about this cetacean species. 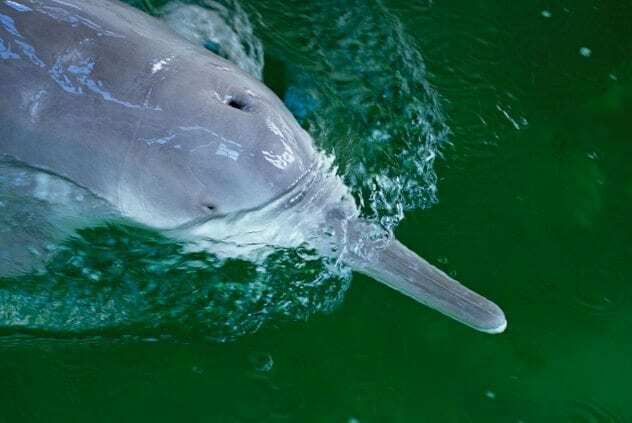 Bryan Nelson, a freelance writer for Mother Nature Network, states that the Baiji Dolphin is a potential species for cloning. The recent extinction means newer DNA, which is easier to replicate. With that said, conservationists being interviewed by The Guardian, discuss an unconfirmed sighting of the white dolphin. It would appear that there is still hope that these freshwater mammals are still out there somewhere, so perhaps bio-engineers should not jump the gun too quickly on this species. 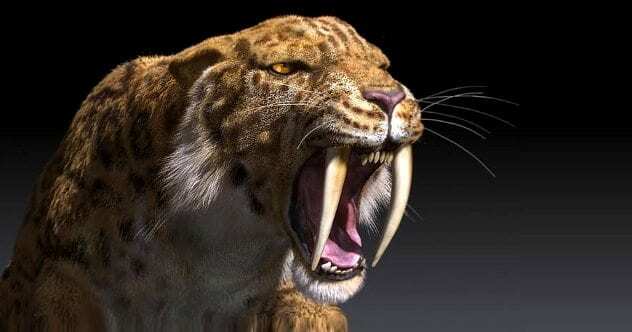 One of the many giants of the Ice Age, the Saber-Toothed Tiger has been in talks of revivification. These cats were presumably killed off in the transitional period of climate change known as the Quaternary Extinction. The La Brea Tar Pits of Los Angeles holds Pleistocene era mammal fossils that may help contribute to their eventual cloning. Why scientists would want to bring this animal back to life is the real question. Also a fallen megafauna from the Quaternary Extinction, this mammal went on scientists radars when a baby Woolly Rhino was found frozen in the Siberian Ice. In 2015, a businessman on a hunting trip discovered this carcass, what was amazing was that it was almost perfectly preserved in the ice for around 12,000 years. Cloning this animal would be especially difficult. 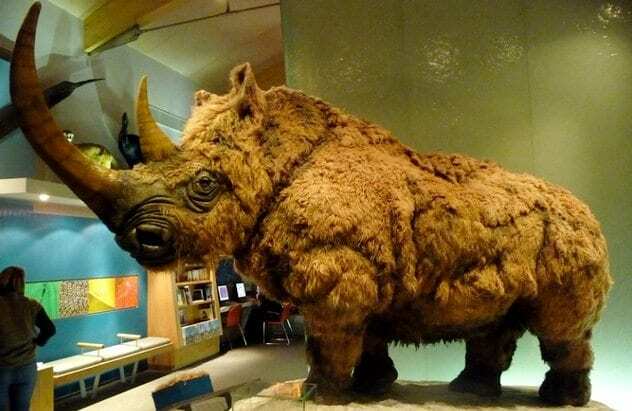 Brian Stillard, a writer for Nature World News, reiterates what most scientists believe which is “the key to cloning any prehistoric beast is finding a complete copy of its DNA and finding a suitable mother.” Sadly, the closest living relatives to these beasts are the Sumatran Rhinos, which are on the endangered species list themselves. These birds disappeared by the millions very quickly due to commercial hunting, and the advancement of technology. Many technological advancements of the 1800s made the passenger pigeons’ carrier abilities less of a tool for humans, so we found other uses. Humans hunted these pigeons for food and sport, sold their carcasses, and profited from these birds any way they could. 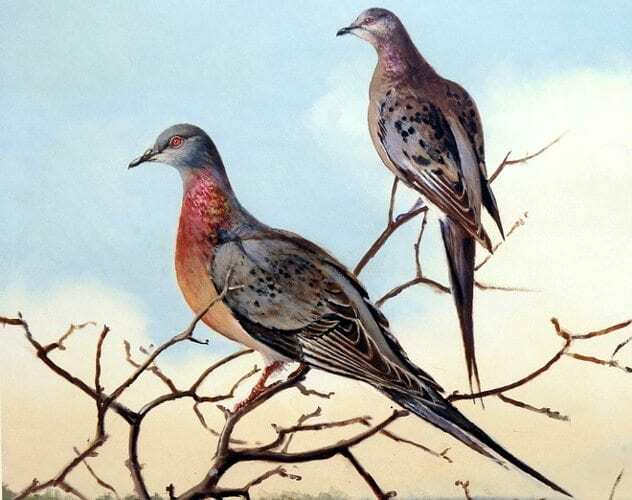 If any one animal is a poster child for animal revival and conservation, it is the passenger pigeon. The last pigeon (Martha) died in the Cincinnati Zoo in 1914. For the last four years, Ben Novak, a research consultant for the non-profit organization Revive & Restore, and his team have been conducting research on their de-extinction called “The Great Passenger Pigeon Comeback.” They believe that bringing these pigeons back to life could create great ecological prosperity to North American forests. 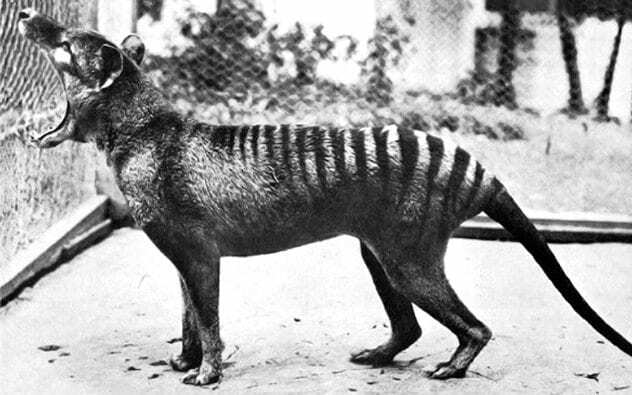 Otherwise known as the Tasmanian Tiger, this Australian native was considered officially extinct in 1936. Further, like many on this list, these marsupials were driven to extinction due to humans. European Settlers flocking to Australia in the mid-1800s saw these tigers as pests, and soon bounty hunting would be the leading cause of their extinction. Australian scientists have made great progress in cloning the Tasmanian Tiger, and they actually have a pup that has been preserved in alcohol since 1866. Once they bring together all the genetic pieces of the puzzle, they have plans to implant an egg into a Tasmanian Devil. 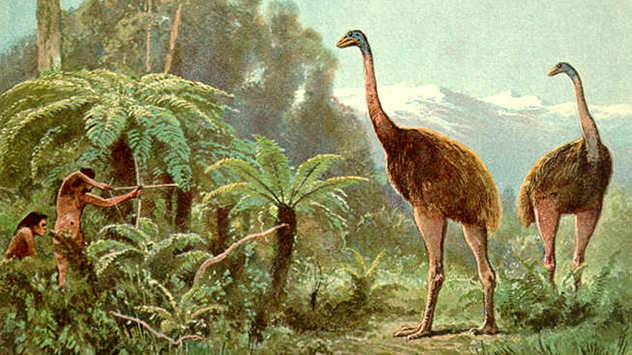 The arrival of humans to New Zealand was the cause of all nine species of moa’s extinction. The Polynesians first settled there in the 13th century, and they quickly wiped out these large flightless birds. The Maori people hunted the Moa, who were easy targets, for food. The bird’s feathers and skin were used for clothing, and its bones were made into jewelry and fish hooks. Research has been underway for possible revivification, furthering scientists current fascination with resurrecting megafauna. A newer member of the extinction list, this frog was last officially documented in Queensland circa 1983. Deforestation, invasive plants and animals, deadly bacteria, and loss of habitat quality through climate change have been cited as reasons why they no longer exist. This frog is a scientific wonder concerning how they reproduced. 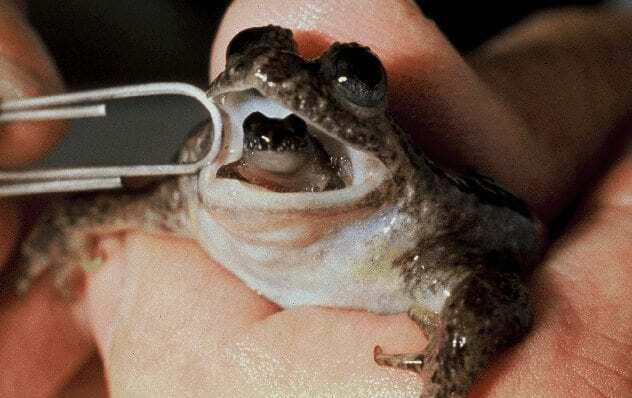 After a male frog externally fertilized the eggs, the female frog swallowed the eggs and kept them in her stomach for six weeks before regurgitating froglets. No other frog, as far as we know, goes through such a birthing process. The harrowing tale behind the extinction of dodo birds, like the Moa, involves the arrival of settlers. They resided on the Island nation of Mauritius in the Indian Ocean, but they would be wiped out in the 17th century, mostly due to the impact of Dutch settlers. Little is it known, however, that the ruthlessness of these settlers was not the only cause of their demise, it was what they brought with them. The pigs and rats that were unleashed on the Island spread their influence in the form of diseases. They also developed an appetite for dodo bird eggs. This combination of attacks on dodos sealed their fate. 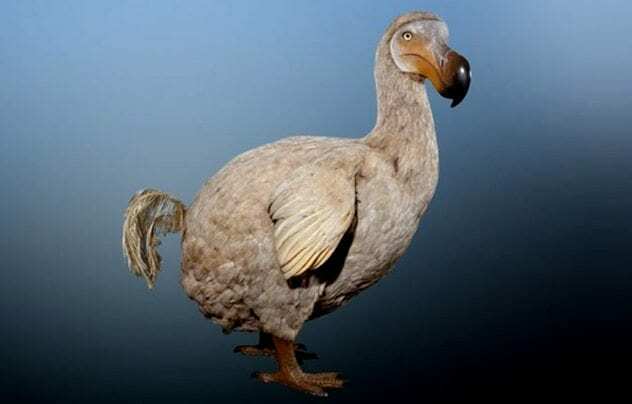 There have been talks, more accurately “TedxTalks,” of de-extinction with the dodo, but that will not be happening anytime soon. Almost every trace of the dodo was lost until the discovery and preservation of the only complete skeleton remaining of this bird to date. 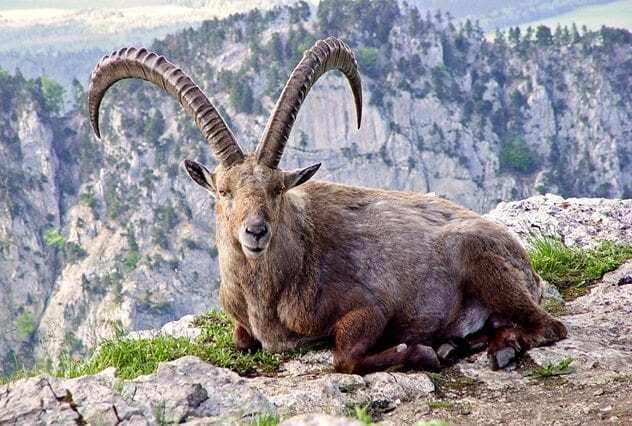 This mountain goat, also known as the Bucardo, lived in the Spanish mountains before officially becoming extinct in 2000. Once again, hunting and gradual habitat destruction killed off this subspecies. However, the Bucardo has the distinct honor of being the first ever successful clone. In 2009, scientists were able to take frozen skin cells, create an embryo, and after many failed insemination attempts, a female goat finally gave birth to a calf originating from a cloned egg. Unfortunately, the calf lived for only seven minutes due to a lung defect. Alberto Fernández-Arias, leading advocate behind this animal’s de-extinction, quickly went back to the drawing board, and he continues his work in developing a successful clone. This fantastic beast was lost in the last Ice Age thousands of years ago, presumably by hunters, but studies reveal melting temperature may have also driven them to extinction. The coexistence of megafauna and humans has proven deadly for the former. 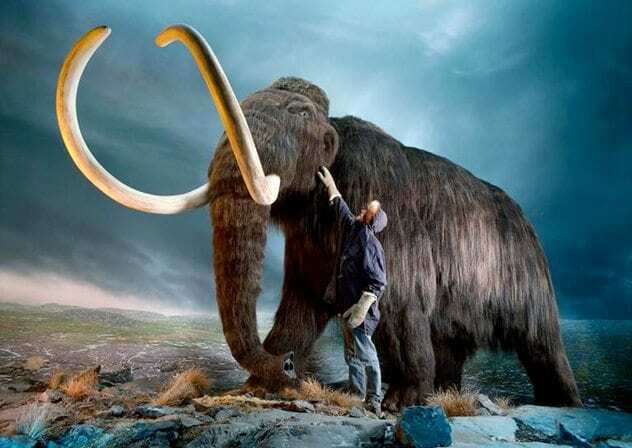 Much like the extinct Woolly Rhino, the buried bones and bodies of Woolly Mammoths is something researchers and archaeologists have come across many times, specifically near the mammoths final destination, the Arctic. We see Woolly Mammoths as the main symbolization of the Ice Age, which has come to be a contributing factor to researchers’ fascination with them, says Hendrik Poinar, in yet another “TedxTalks” on de-extinction. As of today, many various researchers, spanning from North America to Siberia, are working on restructuring mammoth genomes that allow for replication. Their closest relatives, the Asian Elephants, may be the key in this successful cloning. The revival of the Woolly Mammoth could restore ecological balance in the permafrost and grasslands of Siberia, says Ross Anderson in The Atlantic Magazine. The Mammoth is an ideal cloning candidate for many environmental reasons, but even scientists gush at the notion that mammoths are simply a cool species, and one of the most treasured of all the colossal creatures of the past. I’m a community college student in Southern California. Lists, different types of prose, and trivia are just some of my passions. Social media and I are no longer joined at the hip so I don’t have any social networking sites to boast about.